300 LIMITED DCIV L1 H1 AUTO CREW VAN . Brand new Transit custom Limited 6 seat crew van automatic . Comes fully loaded with all the Limited extras including rear reversing camera , voice activated sync Bluetooth ,. Air Con , cruise control , Automatic gearbox , tow bar , folding roof rack , wood lined and so much more just a stunning van . Excellent finance rates are available on this van and px is more than welcome . Body Style: 6 SEAT CREW VAN . 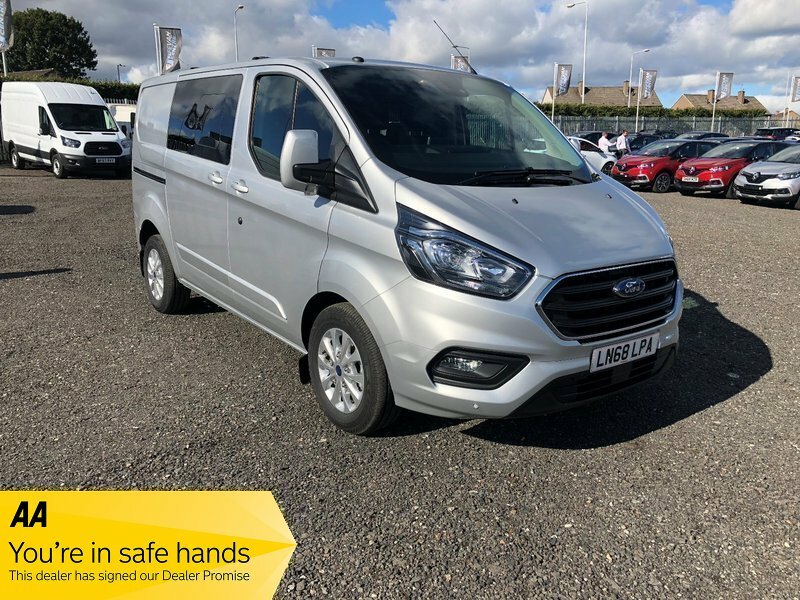 I would like to make an enquiry about your 2019 Ford Transit Custom 300 LIMITED DCIV L1 H1 AUTO CREW VAN .